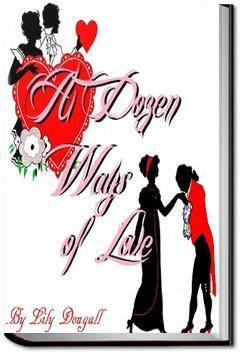 This is a collection of (each in their own way) romantic short stories by Lily Dougall. He did not understand what she said; but he felt distressed at the moment to notice that she was twisting the tender willow leaves, albeit he saw that she only did so because, in her embarrassment, her fingers worked unconsciously. He came forward and[Pg 54] took her hands gently, to disentangle them from the twigs. She let them lie in his, and looked up in his face and smiled. While he held her hands, she drooped her head till it touched his shoulder.